Although I took a short blog hiatus, it wasn't all filled with gloom. We had to adjust the schedule slightly due to the funeral, but since we had already planned and paid for our family trip to Chicago, we really wanted to stick to it. When we lived in Los Angeles, we didn't have to look very far for something interesting to do. Here in the Midwest, it takes a little more work. Granted, we do find some cool stuff to do with the kids, but for big, fancy events, we need to trek a little further. 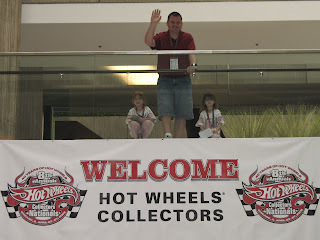 This past weekend, the Chicago trip was focused around the Hot Wheels National Convention. Yes, I said Hot Wheels and I am referring to the toy cars. Yes, it was a convention for us just as much as it was for the kids… or vice versa. It was totally a family event. I've been to several different work and hobby related conventions, but this one takes the cake. You know what people do at a Hot Wheels convention? Car stuff. Lots and lots of Hot Wheels car stuff. Some things, like contests for customizing your own Hot Wheels vehicle, are geared at adults. Scavenger hunts, magic shows and coloring contests are for the kids. The races, on the other hand are for kids of all ages. There is so much to say about the Hot Wheels National Convention that it would be ludicrous for me to try to put it all in one post. So today, you're getting the teaser and the next post will have more meat to it. Here I am, age 38, and still learning new things about people I have known for all or most of my life. When I was two or three, my 15ish-year old uncle came to live with us for a short time. Most of what I recall of that time is based on photographs captured and preserved in our family photo albums. When I was around 10, Uncle Doug married a woman (we’ll call Aunt D) and had a daughter. Aunt D brought two sons from a previous relationship into the marriage with her. But since they didn’t live near us, I never got to know any of Doug's new family very well. This past Thursday, I had the opportunity to see these three children as adults; unfortunately it was when I attended a funeral for my Uncle Doug. I sat back, listened and cried as the oldest child delivered a beautifully written, well-spoken and caring eulogy. I have always known that Uncle Doug was a fun-loving and happy man. I know that whenever I would see him, I couldn’t help but smile. What I did not know is how he was as a father or how he raised his kids. Step-parents don’t always get the best wrap, but based on the memories shared by the oldest child, Uncle Doug made the best of it. During the eulogy, Oldest Child told stories of how Doug had become his best friend, confidant and golfing buddy. Then he retold the childhood story of a fight between him and his brother. When Aunt D expressed her concerns about it, Uncle Doug said (paraphrased) “Just let them fight. One of these days one of them will win and they won’t fight any more.” Those comments exemplified Uncle Doug's attitude about life – just let things happen and see how everything pans out. The minister opened the mic up for anyone to comment and share. Another Aunt stepped up and explained that when you see the date of someone’s birth followed by the date of their death, you need to focus on the dash in-between the dates. Everything about you resides in that dash. What makes you who you are is in that dash. My Uncle Doug lived his life the way he wanted to… he lived the dash. Now, before I close, I want to say that while visiting with Aunt D before the funeral, she told me that Uncle Doug had been reading my blog. (Apparently my proud father shared the link with him.) I had NO idea than Uncle Doug even surfed the net, let alone took the time to read my blog. Aunt D said that they enjoyed reading it together and she plans to continue to read it. So, if any of my loyal readers care to comment, feel free to direct them at Aunt D.
Aunt D – If you’re reading this, I'll miss Doug, too. My thoughts and prayers are with you. Due to some family stuff, there probably won't be any new posts for a few days. To get you by until I return, you can check out some of the many blogs I follow. I just checked and I subscribe to more than 70 of them including mom blogs, thrifty blogs, computer blogs, food blogs as well as some miscellaneous reading from some really great artists and writers. So how will I be sharing? In case you had not noticed, I added a widget for my Google Reader. Anything that I mark as "share" in my reader shows up in that widget. I plan to update it this evening so check out "My Overflowing Google Reader" in the next column over for links to some other great blogs! Thanks for reading and hope to see you back next week! Last night was the opening of the Spring book sale at our local library. It's like Christmas in April because all books (with the exception of a handful of specialty books) are $.25 each. While DH takes a leisurely approach to gathering software or business books, I am much more dramatic. I head straight for the children's books grabbing anything that looks like it would make decent reading material for story time with the girls. Now that Miss M is an emerging reader, I've been keeping an eye out for beginner reading books also. It's total chaos, but it's a fun kind of chaos. We even talked my dad into coming with us this year. Before leaving our house, I offered him a tote bag for his finds. He kind of laughed at me because he didn't think he would need it. I got the final laugh when I saw him at the sale, toting along a FULL bag. But, hey, the books were only a quarter. Even if you had the slightest notion that you might be interested in a particular book, you can afford to buy it. Which was the inspiration for my title question. I love cookbooks, so when I was done in the children's section, I ventured t o the cookbook corner. It was pretty well picked through, but I found a few interesting ones like one on the Glycemic index and one on Flax. I also found a few on soups and crock pot recipes. 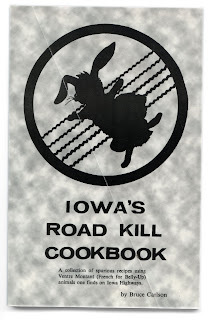 But as I was about to call it quits, I found this: How many cookbook collectors have this in their collection? Would YOU buy it for a quarter? Umm. Yeah. Only in Iowa. Be very, very cautious the next time I invite you over for dinner. On a side note, Smockity Frocks posted about all the books she just landed from her local sale. It's that time of year. Don't be jealous of everything we got. You can find a sale in your area too. Check with your local library or surf over to Book Sale Finder for mapping out your local library book sales! 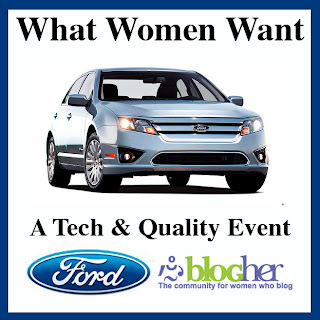 DH and I have always tried to attend events that we think the girls could learn something from. Aside from customary outings like the Family Museum, we try to take them to less traditional events. Concerts like Trans Siberian Orchestra. Cultural Festivals like the Celtic Highland Games. Science stuff like Gem & Mineral Shows. Comic book and collectables shows. This past weekend, we attended a coin show hosted by the Quad City Coin Club. We've been to coin shows in Los Angeles and random dealers always have small things for the kids. Keeps them entertained and hopefully gives them a respect for the hobby. However, this show was set up differently. When we arrived, there was a treasure chest for the kids. They were each allowed to select 10 items from the chest. It contained a variety of foreign coins and the girls eagerly dug through it. Miss K selected 10 of all the same color but with different designs. Miss M selected various sizes and colors but was particularly excited about one with "100" marked on it. That was a nice way to start the show. While DH was checking out what the vendors had to offer, I ran into a friend from the gym. She said her husband and kids were up registering for the kids' auction. After chatting, we got the scoop and headed to the auction area ourselves. The auction was for kids only. Each was given $200 virtual dollars to spend on items graciously donated by the attending vendors. While the items weren't worth $200 real dollars, it was all about the experience. Some of the items up for auction were rolls of wheat pennies, silver dollars, books, annual coin sets and collection folders already containing some coins. Almost 100 lots altogether. About 45 kids participated, bidding anywhere from $10 to $200 right off the bat. Auctioneer Mike Roberts did a great job of getting as many kids involved as possible. When Miss M and Miss K got to raise their 'paddles' they thought it was pretty cool. We didn't care what they won as long as they got something. We just didn't want them to bid too much and be done so we made sure they always pulled their paddle around the $60-$70 mark. Apparently they weren't getting to bid often enough because while DH and I were chatting, Miss K was bidding away on a book with some random coins. Yes, she won it... all on her own. Sometimes her independence is frightening. Miss M won a few auctions also and we were very excited that the event was so focused on the kids and not the parents. At one point, we told Miss K that she had won, but the auctioneer awarded it to someone else on accident. When she started to cry, he made sure that she won the next one to make up for his error. When the final lots were coming up, they began to ask who had not won an item. Auctioneer Mike focused his attention on those kids first. When it came down to the last few lots, the woman keeping track of the bidder accounts stopped the auction. There were three kids on her list whom had not paid anything and the organizers made sure they won. I've participated in a lot of auctions but have never enjoyed one as much as this. Thanks to the Quad City Coin Club for this wonderful event.